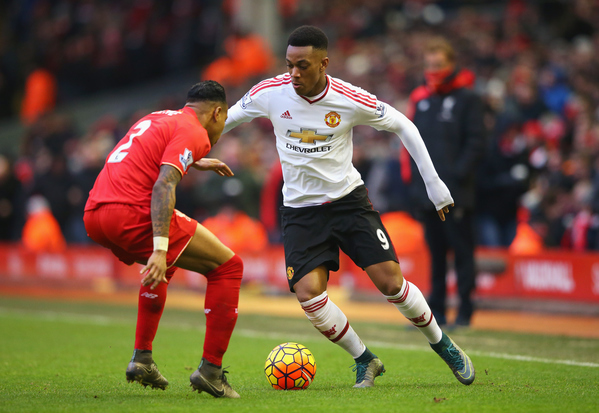 55 mins - Liverpool 0 Manchester United 0: Despite having done nothing all match, the Red Devils finally wake up. Anthony Martial grabs the bull by its horns and cuts through the Liverpool defence, firing inches wide of Simon Mignolet's far post. It's definitely improving at Anfield.